Canberra is surrounded by productive farming land. 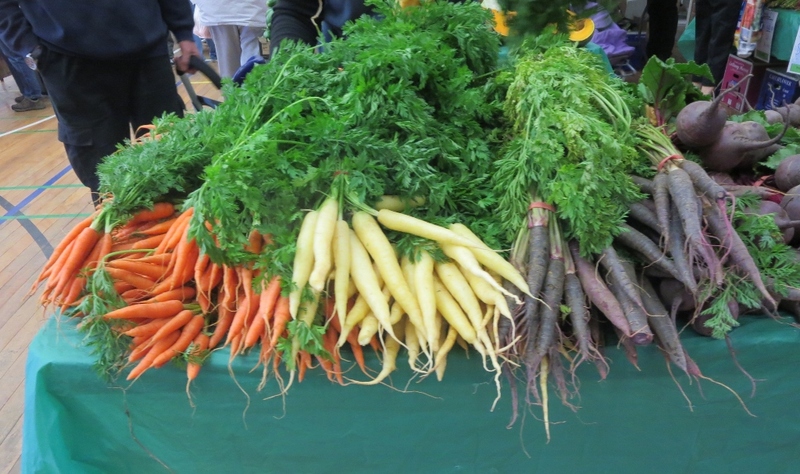 For many years these farmers and producers were beholden to big supermarket chains to buy their produce. 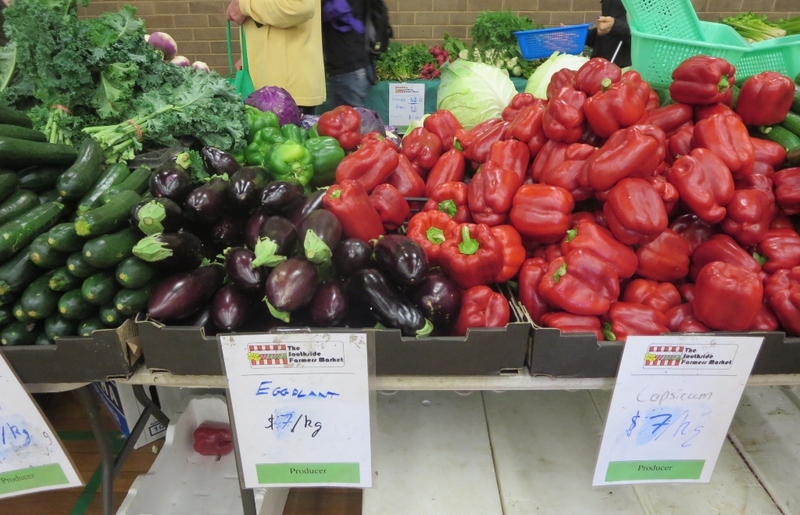 However, in recent years a few really good markets have started up in Canberra, giving farmers and producers a chance to sell directly to the public. 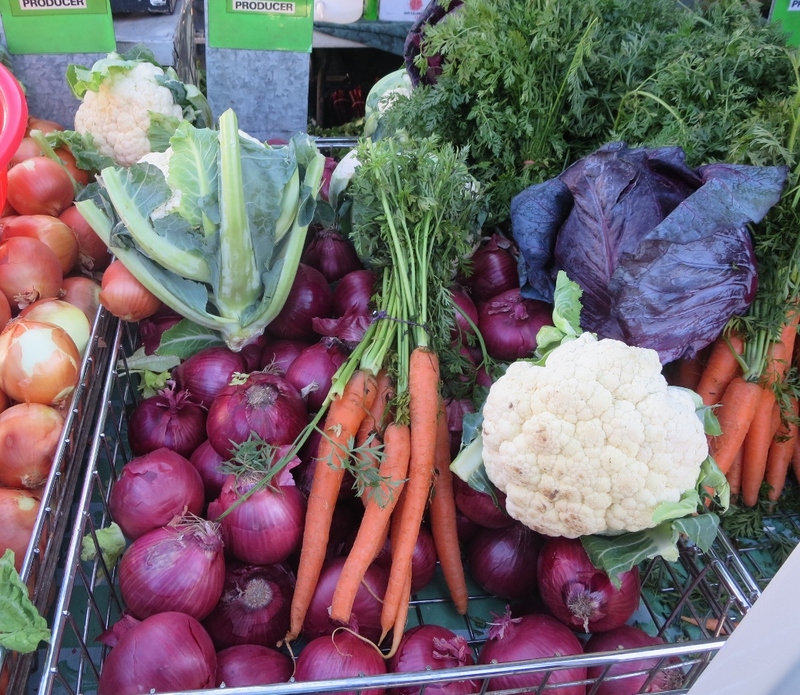 We go to the Southside markets most Sundays. We don’t go to get a bargain, (although we often do get one).. we go because we like to know where our food is coming from, and to support local growers and producers. 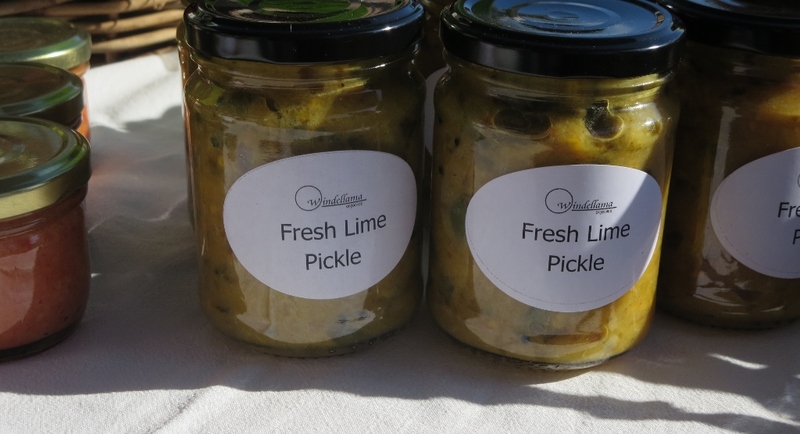 The stallholders themselves not only meet customers, but develop links and friendships with each other. 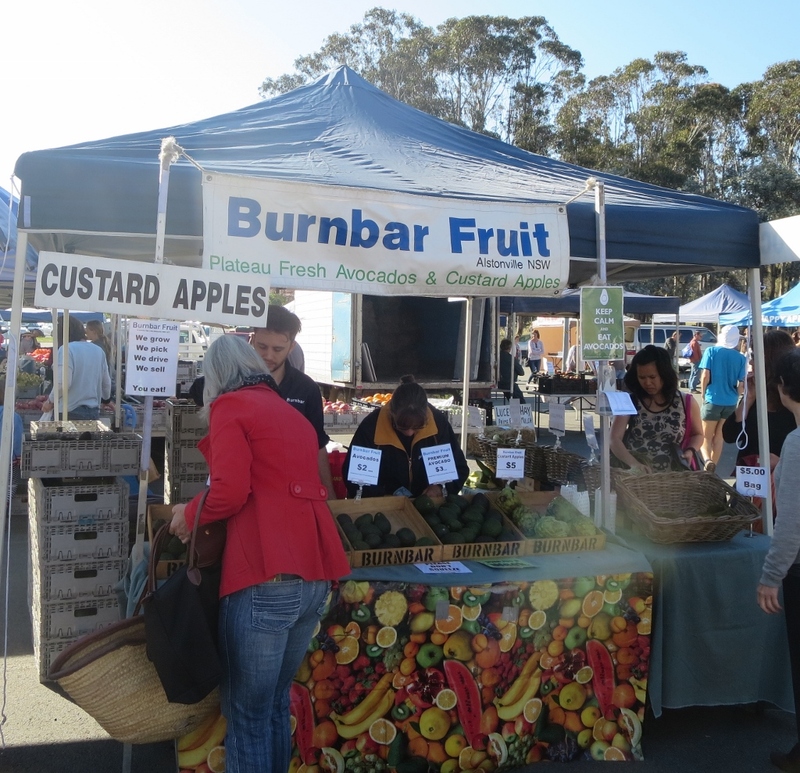 Two farmers who come from the Tilba area (near the South Coast) have stalls next to each other. One grows strawberries and the other is a dairy farmer, he sells cream, milk and yoghurt, and cheese …. 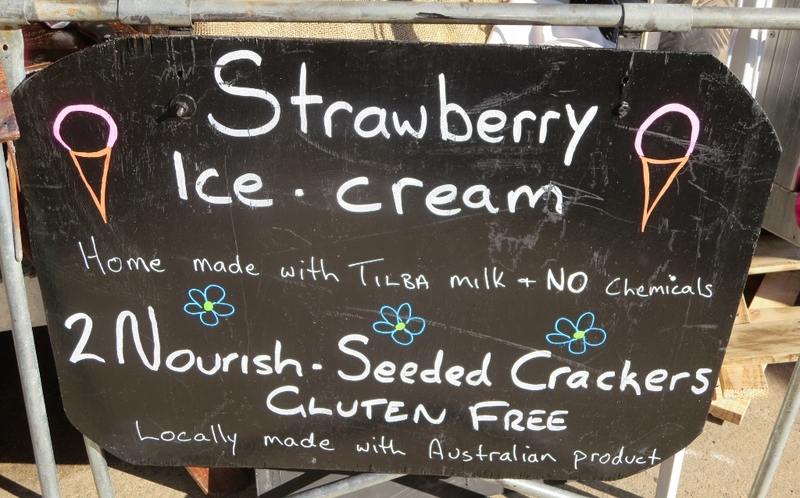 …now the strawberry grower sell strawberry ice-cream …. 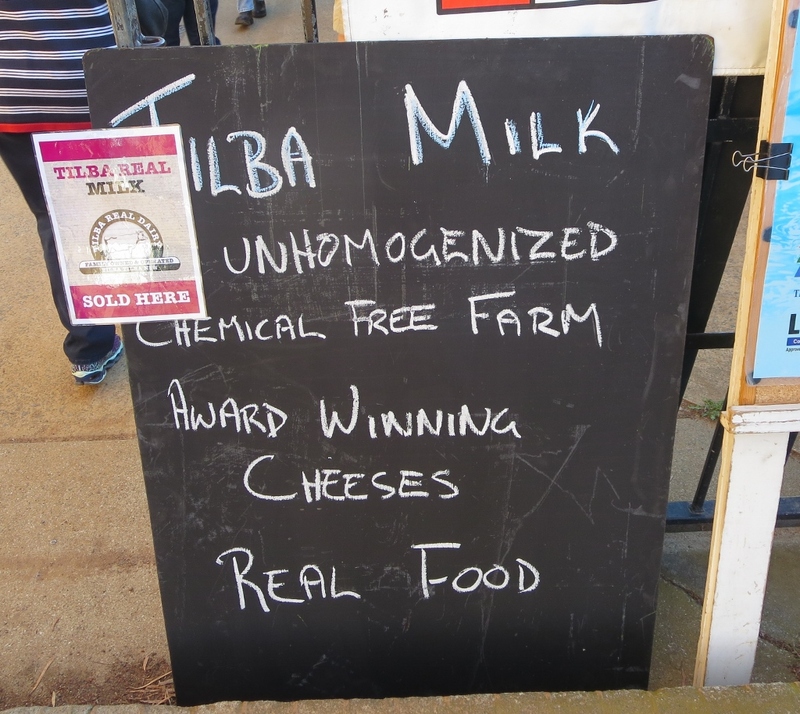 We went to the markets before breakfast today…but I’m definitely going back to try the strawberry ice-cream…and all that fresh dairy produce….the farmers tell me it does not affect cholesterol at all!! 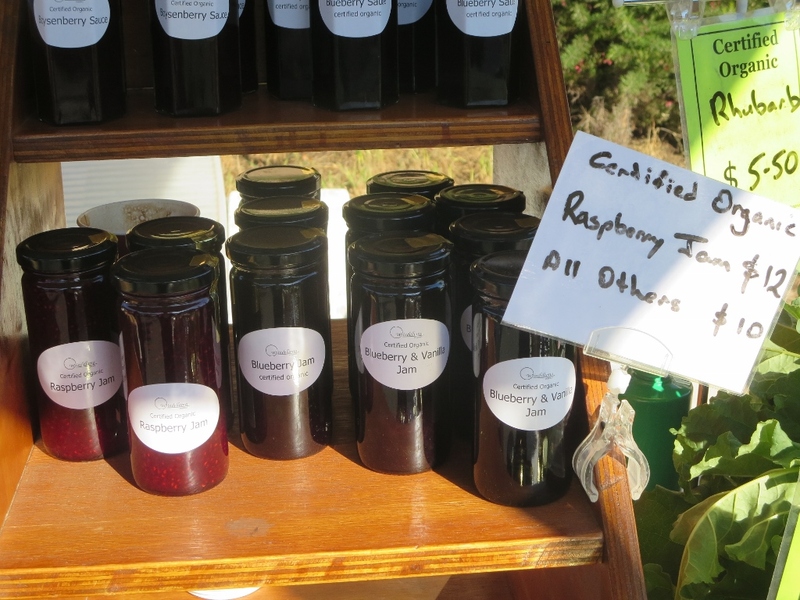 We buy regularly from Russell who owns Windellama Organics. 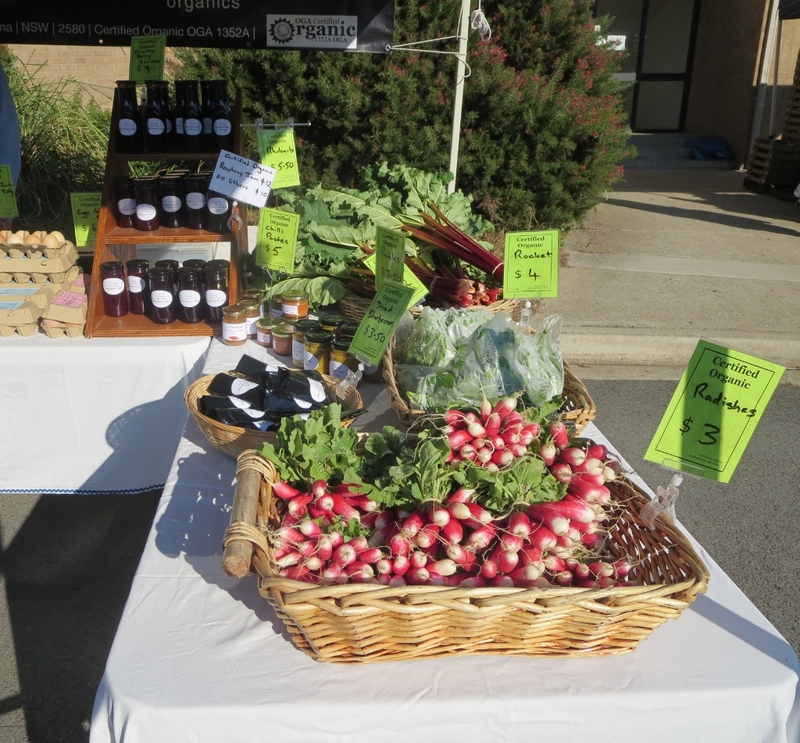 He is a methodical and painstaking grower and producer and today he has the first of his spring produce, radishes, kale, rhubarb, free-range eggs and lots of wonderful jams…and pickles. 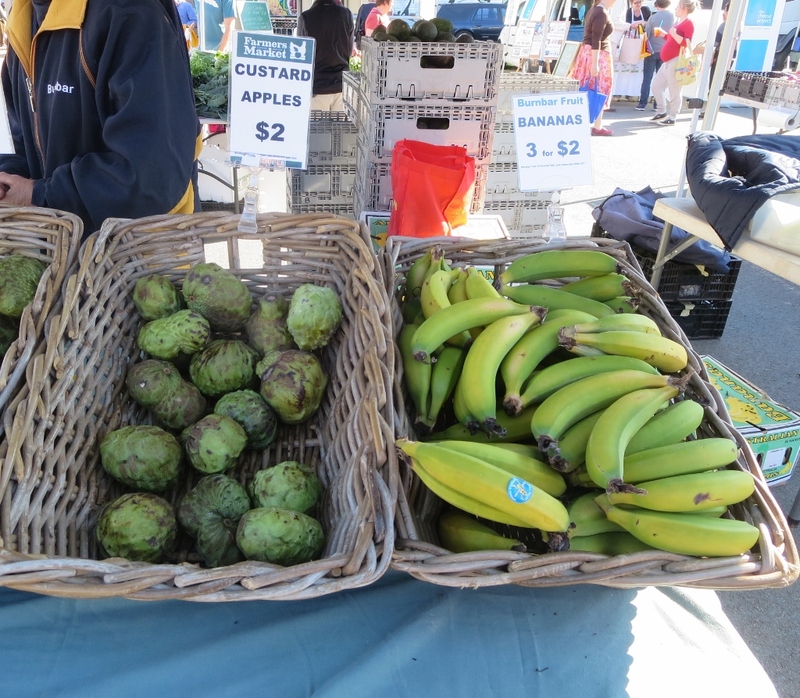 Canberra is a great market for South Coast fishermen, it is easy enough to get to Canberra for the weekend, and wonderful for Canberrans to have such a choice of fresh fish. 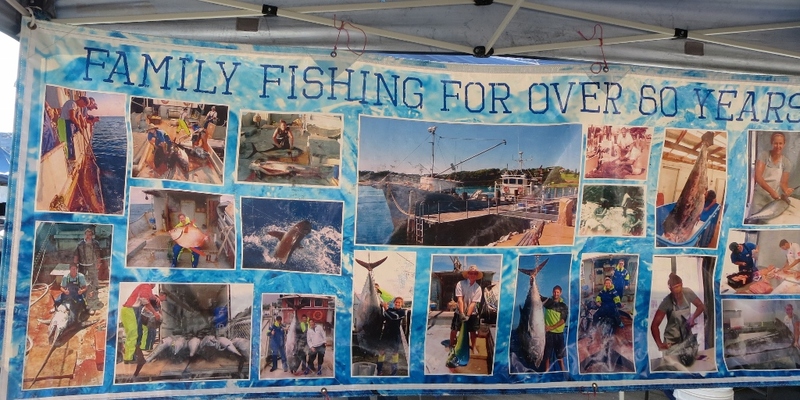 This Narooma sign says ” We only sell sustainably caught fish from two family boats. We do not sell imported or farmed fish. We are happy to answer your questions….. 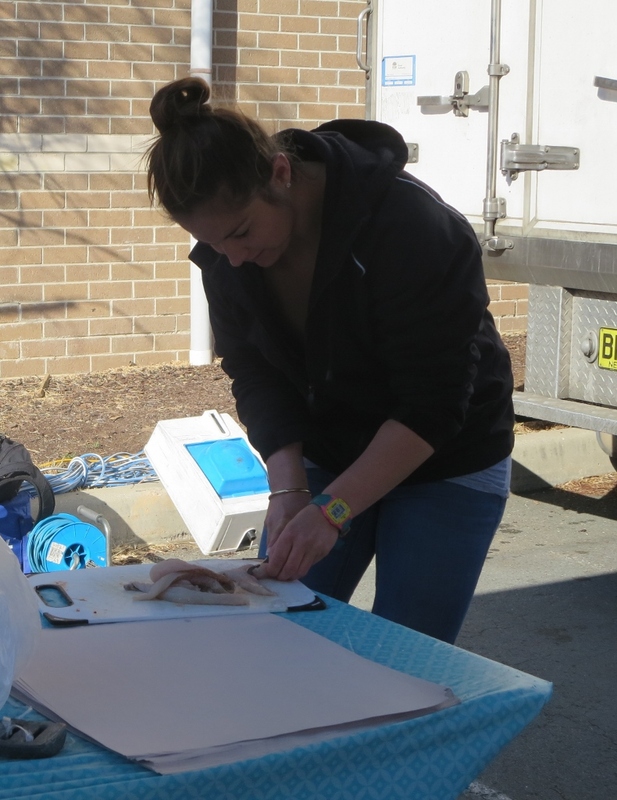 The girl who is filleting our Flathead remembers her grandfather’s fishing days and is also telling us some stories about surfing near the headlands at Narooma….sounds very brave, having seen the waves last week. 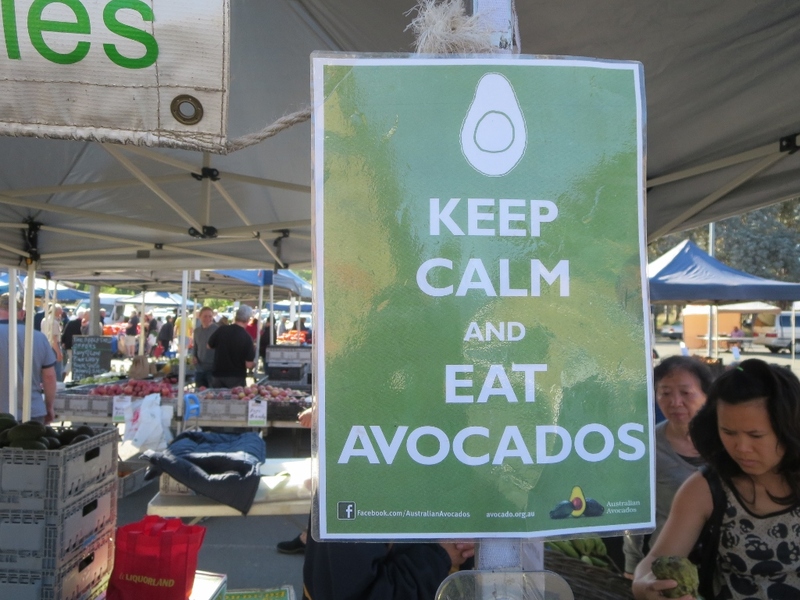 We love their avocados, their bananas and their sense of humour. They are unfailingly cheerful even in winter months….and what an adjustment from their mild climate to ours…. Once spring arrives everyone stays to have coffee, pancakes, bagettes, and whatever is on offer.. my favourite musician is playing classical guitar…I don’t think you can’t put a price on the happiness music brings to a place..
On our way out we notice another star of the markets, Clover the piglet. She is owned by Wisher Woods Sanctuary who fund-raise for abandoned animals…I suspect Clover is quite safe in that department, but she is a wonderful drawcard. 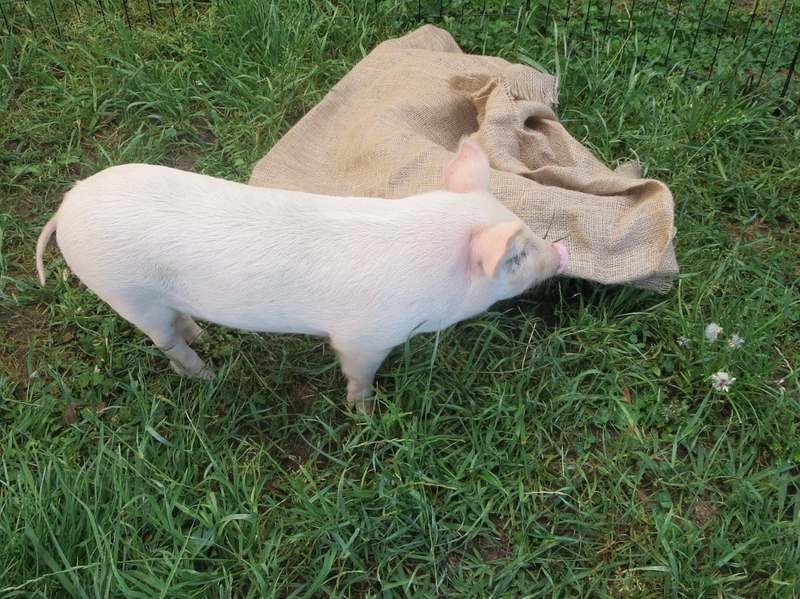 However this morning she is a little over the paparazzi and after this photo was taken she retired under her sack. 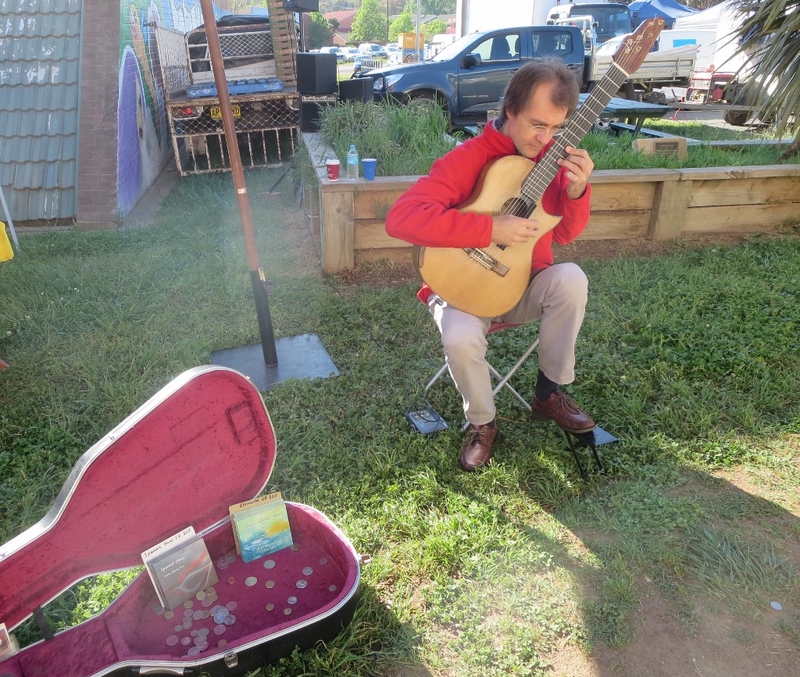 There are so many more markets to talk about…we’ll be back.. 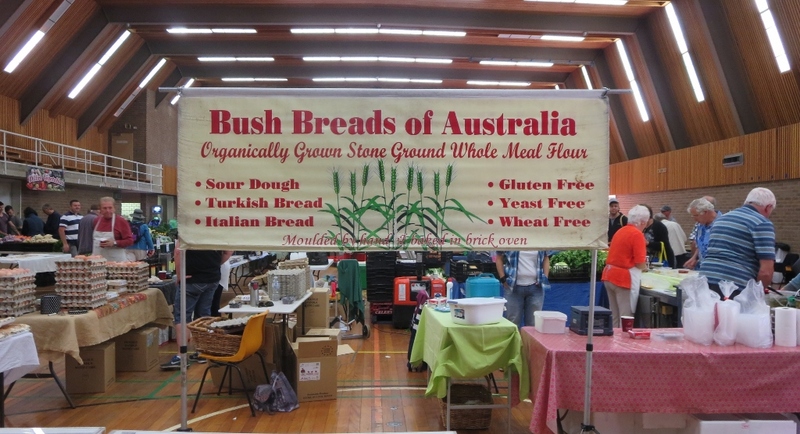 This entry was posted in Canberra's Markets and tagged bread, carrots, cheese, cucumbers, eggplant, fish, flathead, ice-cream, jams, lime pickle, markets, milk, music, Narooma, red peppers, Southside markets, stawberries, sustainable fishing, Tilba, yoghurt on October 25, 2015 by germac4.